On 18th of April, Michael “shroud” Grzesiek’s contract with Cloud 9 officially ended. Few days back, he hinted on his stream that he would play ESEA Open matches since alot of people love to see him play Counter-Strike. 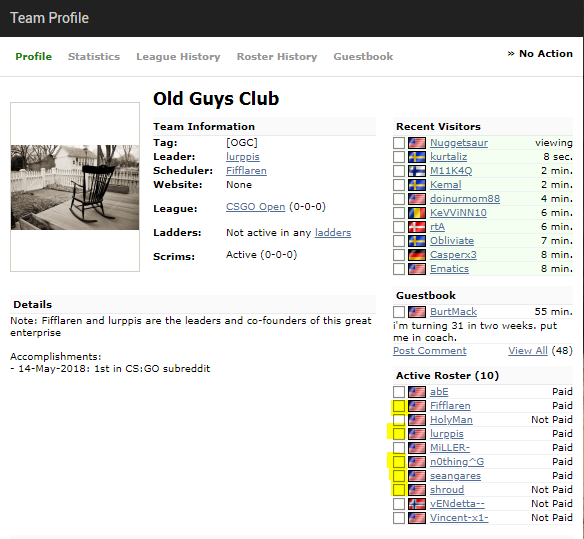 Tomi “lurppis” Kovanen created a team on ESEA named Old Guys Club (OGC) and shroud was seen in the roster. On August 15, 2017, Jordan “n0thing” Gilbert retired from the professional Counter-Strike scene. Since then, he has been passionately streaming on Twitch. Being a legend in the North-American scene, he needs no introduction. 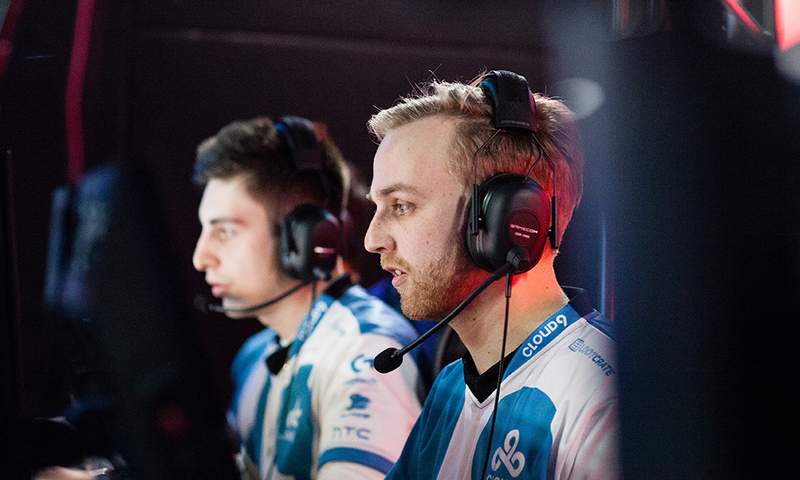 He has played for Cloud 9 since the organization’s entry into Counter-Strike. He has achieved a lot of commendable achievements including first place at ESL Pro League – Season 4, iBUYPOWER Invitational 2016 – Summer, Esports Championship Series – Season 3 and CyberPower PC Summer 2016 Pro Series. Sean “[email protected]” Gares is one of the finest and intelligent in-game-leader, North-American Counter-Strike has ever had. Sean “[email protected]” Gares has played alongside Jordan “n0thing” Gilbert and Michael “shroud” Grzesiek during Cloud 9’s 2015 era. Recently, he was seen analyzing few premier tournaments including ELEAGUE Major: Boston 2018. During his tenure in Misfits, as an in-game-leader, he has secured first place at CyberPowerPC Extreme Gaming Series – Fall 2017 Invitational and Americas Minor Championship – Boston 2018: NA Last Chance Qualifier. Robin “Fifflaren” Johansson is one of the oldest legends of this game. He was a crucial part of NiP’s 87-0 winning streak during 2016. He has won majority of the prominent Counter-Strike tournaments during the early days of newborn Counter-Strike: Global Offensive. This mix line-up would be playing ESEA Open and as of now, they aren’t signed by any organization.